Description: After the retreat from Gettysburg, the Confederate army concentrated behind Rapidan River in Orange County. The Federals advanced to Rappahannock River in August, and in mid- September they pushed strong columns forward to confront Lee along the Rapidan. 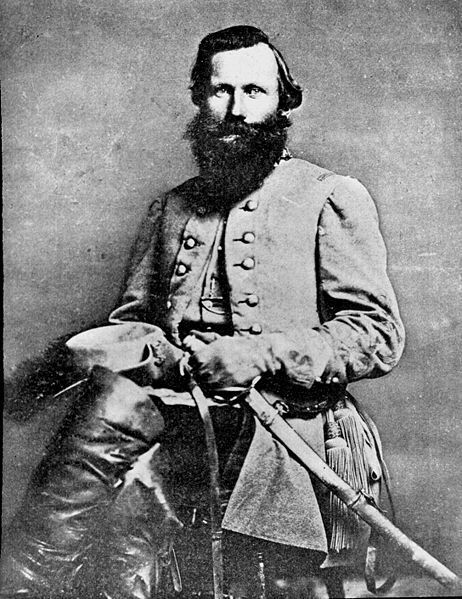 Early September, Lee dispatched two divisions of Longstreet’s Corps to reinforce the Confederate army in Georgia; the Federals followed suite, sending the XI and XII Corps to Tennessee by railroad in late September after the Battle of Chickamauga (September 18-20). Early October, Lee began an offensive sweep around Meade’s right flank with his remaining two corps, forcing the Federals to withdraw along the line of the Orange & Alexandria Railroad. On October 13, Stuart, with Fitzhugh Lee and Lomax’s brigades, skirmished with the rearguard of the Union III Corps near Auburn. Finding himself cut off by retreating Federal columns, Stuart secreted his troopers in a wooded ravine until the unsuspecting Federals moved on. 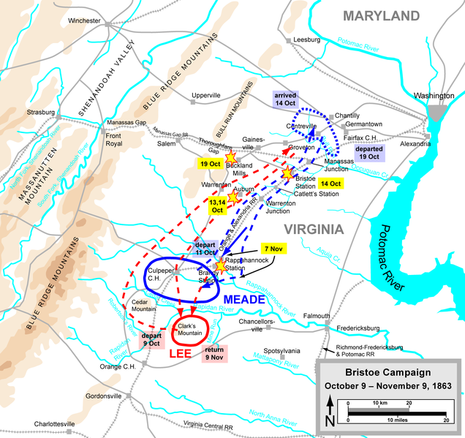 The First Battle of Auburn was fought on October 13, 1863, between Union infantry and Confederate cavalry forces at the start of the Bristoe Campaign during the American Civil War. A Union infantry column accidentally stumbled upon a small Confederate cavalry reconnaissance party and a short, inconclusive fight ensued. 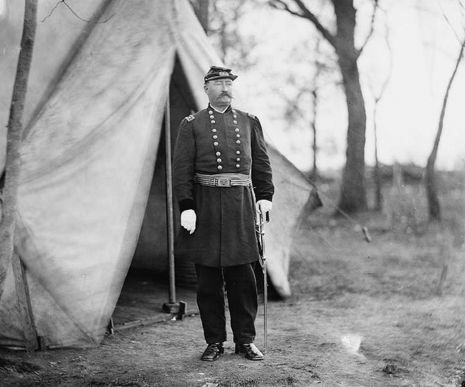 The Confederate cavalry withdrew in the face of the superior Union force, but a much larger body of Confederate Cavalry under Maj. Gen. J.E.B. Stuart, attempting to raid a Union wagon train became entrapped by the column, forcing them to abandoned the raid and hide in a ravine over night awaiting Confederate infantry to come to their aid.